Lebanon’s potential as a destination for meetings and incentives industry is under the economic spotlight, with IDAL, the country’s investment authority highlighting the sector as a future driver for foreign direct investment, as tourism representatives come together in the run up to the 2013 Gulf Incentive, Business Travel and Meetings Exhibition (GIBTM). Ahead of the March 2013 event, Reed Travel Exhibitions, organiser of GIBTM, is taking to the road for a series of brand new GCC and Levant-focused education and networking forums for Meetings, Business Travel and Incentive based companies to gain insight and knowledge in order to enhance their trade show experience. Entitled ‘GIBTM Talks: Maximising your ROI’, the road show will commence on 14th October in Muscat and run through 18th October, visiting Doha, Manama, Amman and Beirut. 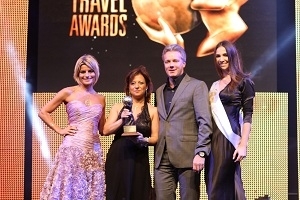 “Travel and tourism investment is forecast to cross US$865 million by 2022, and this is encouraging the country’s tourism leaders and government to seriously address the fundamentals needed to raise Lebanon’s profile on the tourism map,” said Lois Hall, Exhibition Manager for GIBTM, the leading platform for the incentive, business travel and meetings industry in the Middle East, which takes place at the Abu Dhabi National Exhibition Centre (ADNEC) on 25-27 March 2013. According to the World Travel & Tourism Council (WTTC) estimates, Lebanon’s tourism sector will contribute US$ 4.3 billion to the economy in 2012, equivalent to around 10% of GDP. WTTC expects direct sector contribution to the economy to grow by 4.5% travel and tourism GDP is forecast to grow by 3.7% per annum in the period 2012 to 2022, reaching US$2.04 in real terms in 2012 and its direct contribution to employment to rise by 3%. Over the period 2012-2022 the travel and tourism economy in Lebanon is expected to grow by 3.2% annually against a Middle East average of 4.2%. The GIBTM road show will reach Beirut on 18h October 2012, offering added value support to Lebanon’s meetings and events sector. The educational and networking forum, which is supported by the Lebanon Ministry of Tourism, will be held at the Mövenpick Hotel & Resort Beirut, under the theme ‘Maximise Your ROI’. “Our popular road show events are an invaluable opportunity for existing and potential exhibitors to gain insight and knowledge in order to enhance their GIBTM event experience, as well as pick up some great tips and techniques on using the latest social media tools to maximise business both pre- and post show,” said Hall. “Business travel remains an important factor in augmenting tourism and hospitality revenues and with facilities like the Beirut International Exhibition & Leisure Center offering flexible tailor-made space, the stage is already set for Lebanon to capitalise on new opportunities,” she added. Rafic Hariri International Airport recorded an 11.9 % increase in passenger arrivals in the first half of the year against 2011 figures, according to a Bank Audi Q2 2012 economic report, boosting hotel occupancies in Beirut by 11% to 65% year-on-year in the same period despite an aggregated 7.89% decline in tourist numbers. Visitors from Iraq accounted for 8.3% of arrivals followed by the US with 7.8% and the French and Saudis tied at 7.4%. The Lebanese tourism ministry is also reportedly talking to low cost carriers including easyJet, Monarch Airlines and Ryanair in a bid to boost tourism. 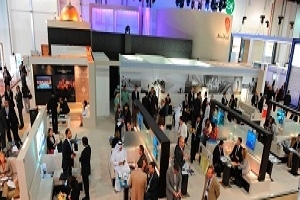 Now in its seventh year, GIBTM attracts in excess of 2,400 industry professionals annually. New for the 2013 edition, and in response to increasing demand for business travel services in the region, GIBTM has launched its first dedicated Business Travel Pavilion. The show also hosts 300 regional and international senior level buyers, through the Hosted Buyer Programme, with a combined budget of over US$827 million, who through 7,600 pre-scheduled appointments over the two and a half-day exhibition, meet with more than 350 exhibitors from 36 different countries.